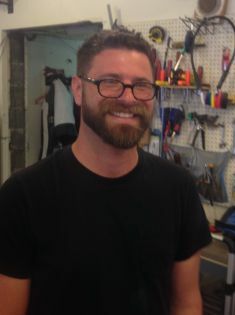 Jeremy joined the firm in 2015 and his cabinetry and milling skills are much appreciated in our shop. He began woodworking as a teenager and visits to New England inspired his study of early American furniture and joinery techniques. He founded his own studio in 2004, and has been invited to exhibit his original work in the Illinois State Museum Artisans Galleries in Chicago and Rend Lake, as well as numerous art festivals throughout the mid-west. See more of his work at J. B. Taylor – Fine Furniture Maker.